Set in lush gardens, Colina da Lapa Club is in Sesmarias/Carvoeiro. It has an outdoor pool, free parking and a free shuttle to the beach and town centre. Surrounded by tranquillity, Retiro da Canada is situated in Ferragudo, Algarve and offers an outdoor pool. Just 2 km from the Praia Grande Beach, this property provides free WiFi. Located 750 metres from Caneiros Beach, the Casa Rei das Praias features elegant rooms with private terraces. It offers a restaurant and 2 swimming pools, and includes free Wi-Fi and free parking. 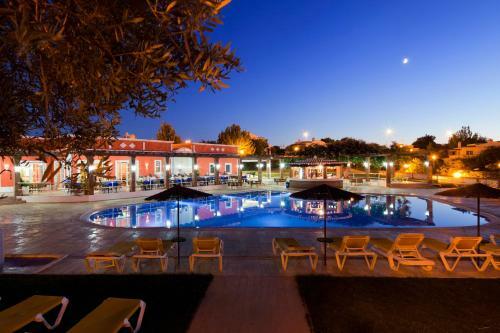 Offering free WiFi and an outdoor pool, Vila Castelo Parque is set in Ferragudo. Arade Congress Centre is 1.4 km away. Free private parking is available on site. All units feature a seating area. Some units include a dining area and/or terrace. The Villa de Charme Encosta da Praia is located at 500 metres from the fishing village of Ferragudo. Set over the Praia Grande beach, the property features panoramic views of the sea, the river and the Portimão Marina.